In today’s world, issues of gender and sexuality feature prominently in the public sphere. As sexual minorities have long been victims of discrimination and harassment, it is imperative that this increased exposure goes some way towards easing the injustices they experience as a community. One major avenue for such redress is through research, especially toward improving the lives of the sexually marginalised. It is clear, however, that the struggle to do so has to take place on many different fronts. It is perhaps this final intersection that is the weightiest to unpack, carrying deep personal resonance for researchers, theologians, sexual minorities, and other members of society alike. 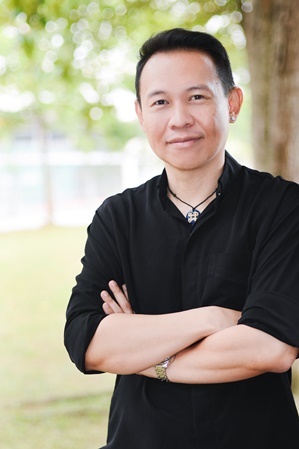 While religious discourse has often been unfairly wielded as a weapon against LGBTIQ (lesbian, gay, bisexual, transgender, intersex, and queer) communities, researchers like Dr Goh actively work toward making theological spaces more inclusive to the sexually marginalised. A large part of this approach involves debunking the idea that practicing a religious faith and advancing the rights of sexual minorities must exist in opposition to each other. As Dr Goh points out, theological platforms offer some of the most powerful opportunities for supporting those suffering discrimination on these grounds. For Dr Goh, an ordained Christian minister and self-identified theological activist, taking on this task has been his life’s work. Through bringing a new lens to theology and religion, he and other sexuality studies researchers are able to move closer to understanding the complicated, but crucial relationship between sexuality and religion. Asking these pressing questions can lead to very crucial, meaningful outcomes for the communities involved. For instance, Dr Goh currently acts as a consultant with the Asia Pacific Coalition on Male Sexual Health (APCOM), which is presently researching the ways in which religion-related reservations may be preventing people in the region from accessing health services, such as HIV prevention and treatment. This illustrates precisely why a theological-based activism is so essential toward advancing the well-being of sexually marginalised people. “The intersection here,” says Dr Goh, “looks at how the resources of religion should be used to help restore these people back to health and a more holistic way of living, towards greater self-acceptance and self-love.” In this way, the bridge between sexuality, theology, and activism can serve its most critical function – giving back to the communities who have the most at stake, as a starting point for even larger social transformations. This article is the second in a 3-part series on the gender studies major at Monash Malaysia’s School of Arts. For more information, please visit www.sass.monash.edu.my. You can read the first installment here. (http://www.monash.edu.my/news/archive/2016/pioneering-the-gender-studies-major-at-monash-malaysia). By Dr Joseph N.Goh, Lecturer, School of Arts and Social Sciences, Monash University Malaysia.